A full bodied blend made from selected herbs, spices and real beef lavours that will hold for up to four hours on a steam table without separating or developing a skin. 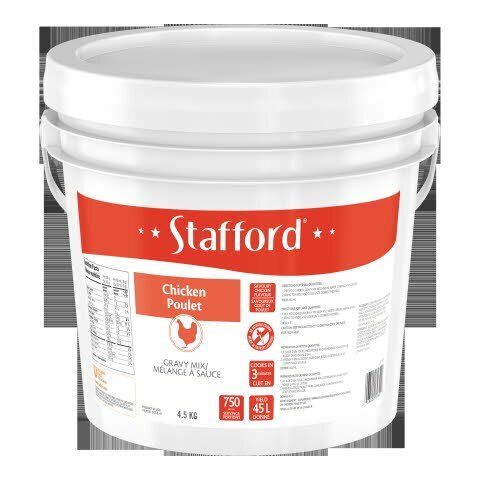 Stafford gravy and sauce mixes have been a foodservice tradition for over 30 years. The preferred choice to pour onto a hot sandwich, fries or to enhance a buffet. Simply make as per recipe and serve over steak or pork.